Delhi/Gurgaon, November 6, 2015: The most awaited Indian festival, Diwali, is round the corner. 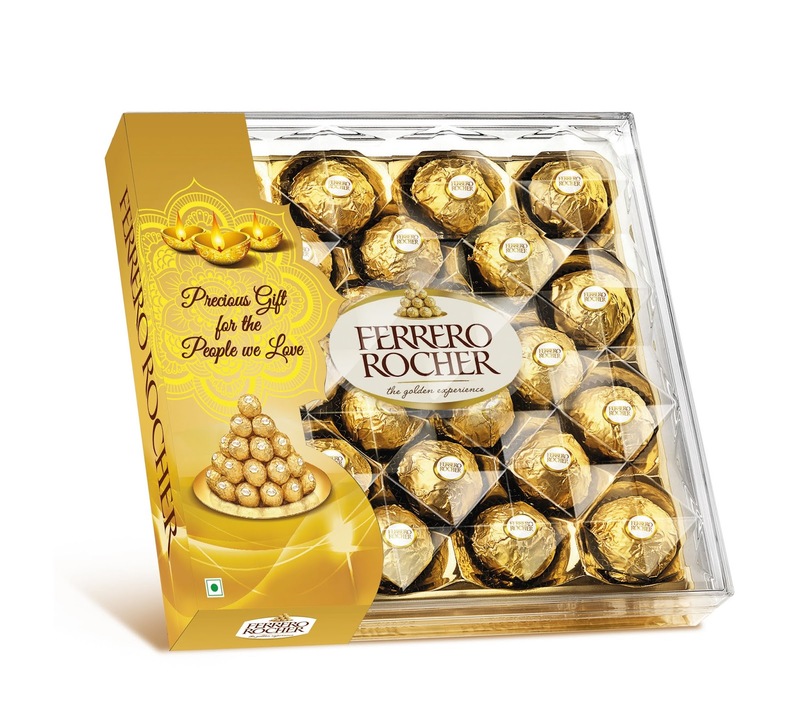 To add the extra sparkle to the festive season, the producer of world’s most celebrated praline, Ferrero, created a lifetime brand experience for its consumer by hosting the Ferrero Rocher “golden experience” event in Mumbai at Ambience mall in Gurgaon from November 6th to 8th, 2015. At the “golden experience“event, the long standing and unique heritage of Ferrero Rocher was unveiled. Ferrero Rocher flew down expert chefs all the way from Ferrero’s homeland of Italy to provide an exclusive opportunity for Indian consumers to witness Ferrero Rocher pralines being crafted with passion and care for the very first time in India. To support the campaign, the brand will be promoting the entire event on the digital platform. Ferrero Rocher is running a contest on its Facebook page (Ferrero RocherIN) which provides an opportunity to win an exclusive chance to participate in making of Ferrero Rocher with the Chef. 5 lucky winners get a chance to win a Ferrero Rocher exclusive 96 Praline pyramid. The live demonstration of the making of Ferrero Rocher has been extended to select Modern Trade Stores in Delhi and Gurgaon. The demonstration will be held at ABRL Moments Malls on 31st and 1, GIP Noida, Big Bazar – 2nd & 3rd November and 4th &5th Nov – Spencer Gurgaon. Ferrero Rocher, created in 1982 has become a favourite boxed chocolate for millions of people around the world. In fact today it is the world leader in the box chocolate category and is sold in more than 130 countries across 5 continents. Ferrero Rocher transparent box revolutionized the boxed chocolate market because the transparency enhance the precious gold appearance of the single pralines and today it is an integral part of the brand identity. Ferrero Rocher has an interesting history behind making it a precious gift for your loved ones: driven by the desire to make all the pleasure & enjoyment of a sophisticated chocolate, the Italian chocolatier Ferrero created Ferrero Rocher that offers a unique multi-layered taste experience - a creamy filling, a crispy wafer and a delicious crunchy whole hazelnut centre – individually wrapped in its unmistakable golden foil. The company started its commercial operations in 2004, and in less than a decade has become a strong player in the chocolate and confectionary segment in India. The company has made India its production hub for Asia and Middle East and exports half its local production.